I am so thankful that I have friends who love to eat. My friends are not foodies per se, nor gluttons by any means. Yet, these women know the meaning of taking pleasure in the enjoyment of food, savoury or sweet. We all have our gastronomic likes and dislikes (I am probably guilty of the most dislikes) but the sheer joy of eating is something that we all share. 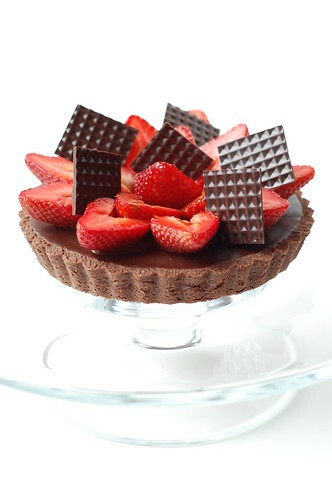 For example, we all took pleasure in consuming my friend Shelley's birthday tart, composed of strawberries, dark chocolate ganache, and chocolate frangipane in a chocolate shortcrust. The converse is always frustrating, sharing a meal with someone who regards food as just calories or where the number of ingredients which are subjectively unpalatable outnumber those which are acceptable. Can you imagine going through life avoiding everything that you suspect has onion in it? In contrast, food intolerances and restrictions are certainly valid issues but even these should never stop one from enjoying food. I know a kosher vegetarian with a nut allergy who appreciates her food, from garden to plate. Speaking of gardens, mine is blooming despite being ransacked by skunks who feasted on 50% of my tulip bulbs earlier this year. 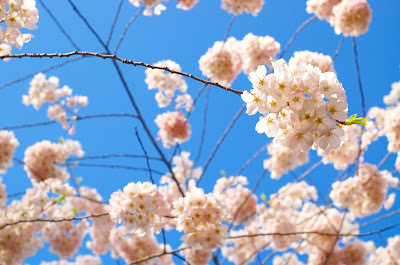 Cherry blossom season is in full swing and just like the importance of taking time to smell the roses, taking time to gasp at the beauty of a flowering cherry tree is equally important for your mental health! Spring has sprung here in Vancouver, evidenced by cherry-blossom lined streets and the accompanying pollen. I even dared to get my winter coat dry-cleaned and stored this week, although my boots are still on stand-by. 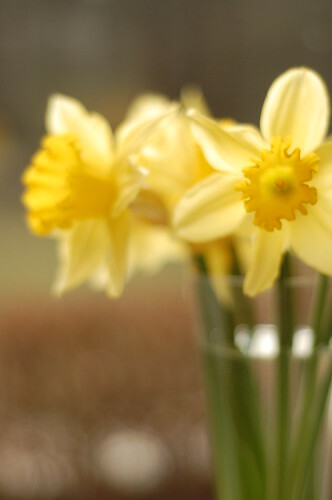 These transitional seasons can often be disorienting to me, a person who admittedly does not deal well with change. I am a creature of habit who prefers repetition and routine with an occasional dose of interesting. 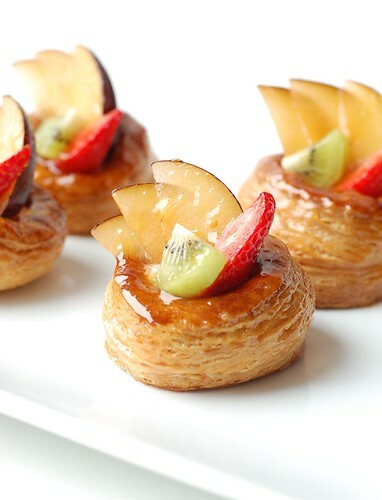 My interesting experience over the past two weeks was playing around with pâte feuilletée (puff pastry). It has been probably over two years since I have bothered to make puff pastry at home by hand (at work with a sheeter does not count). And since the weather is still cool, I decided to make inverted puff pastry (where the butter layer starts on the outside instead). Four folds later (single, double, single, double), I had more puff dough than Eric and I should ever consume alone. Luckily, it freezes nicely and was portioned over the last two weeks into five different products to be shared amongst friends. 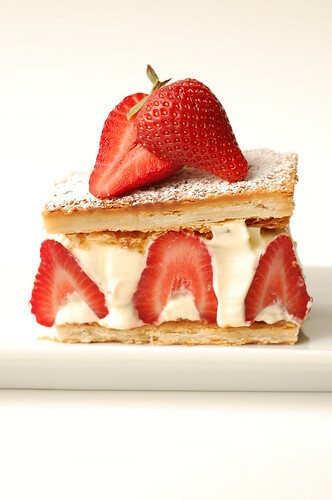 The tarte tatin and strawberry-lemon cream mille feuille were victims of my over-zealous oven. My puff dough browned too quickly, leaving it underbaked in the centre, as you can witness in the mille feuille's cross-section. Next time, I will also vent the tarte tatin during baking to lessen the residual cooking juices in order to keep the puff crust crispy, not soggy. After some temperature regulation issues were resolved, my vol-au-vents baked properly but a few decided to slouch over to one side, much like my top-heavy hyacinths currently blooming in the garden. I think I need to practice shaping and assembling these again to redeem myself. 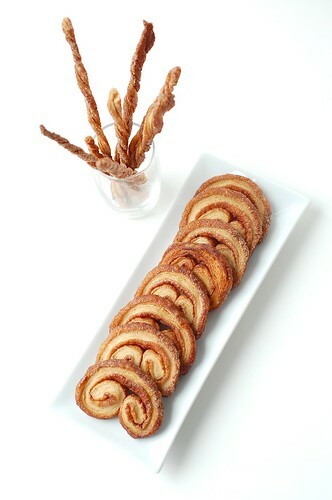 Finally, no puff pastry project is complete without using up leftover scraps to make palmiers and/or cinnamon straws. These crispy little munchies are so easy and make my frugal heart sing. 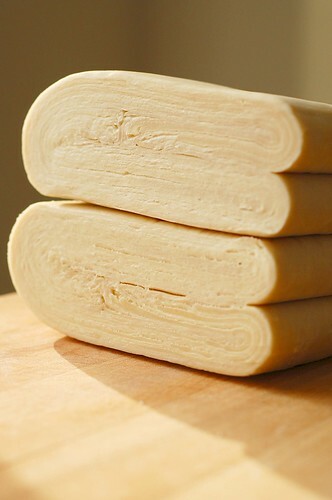 In fact, I might use up my residual unused puff dough to make these tasty morsels instead. Everything tastes better with cinnamon sugar on it, doesn't it?